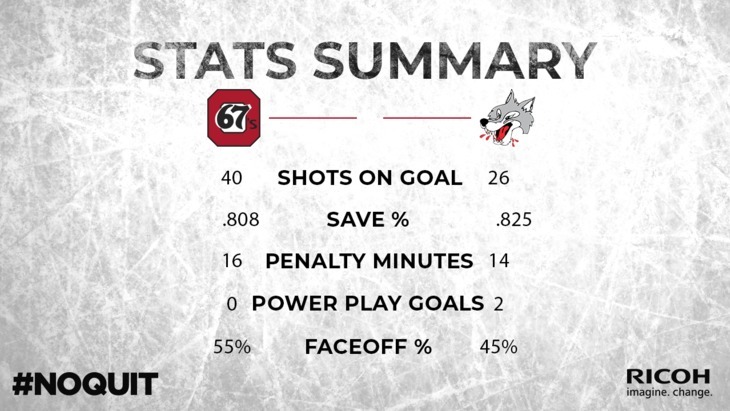 Four unanswered goals by the Ottawa 67’s broke open a tight Eastern Conference Semi-Finals Game 3 on Tuesday night, as the Barber Poles moved one win away from advancing with an 8-5 win over the Sudbury Wolves. Goals by Kyle Maksimovich (his first of two on the night), Kody Clark, Jack Quinn and Tye Felhaber—all coming in the second half half of the game—broke the game wide open in what was the toughest test of the playoffs for the 67’s so far through the first 30 minutes. 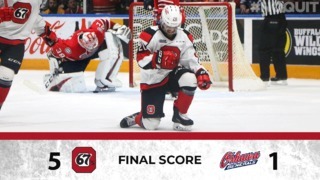 Lucas Chiodo, Lucas Peric and Sasha Chmelevski also scored for the 67’s, while Mikey DiPietro made 21 saves to pick up the win in goal. 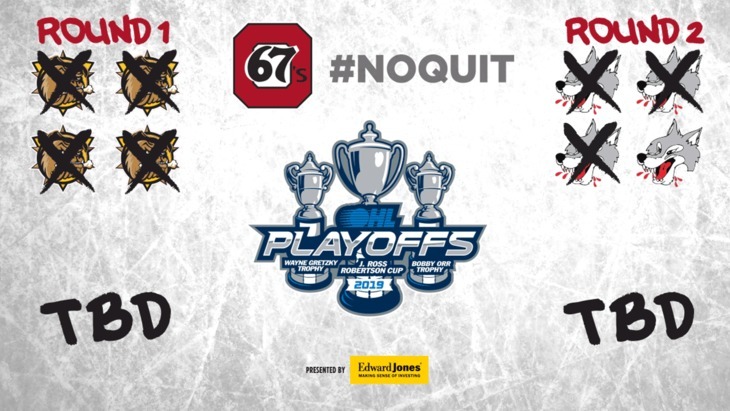 The 67’s return to action for Game 4 in Sudbury on Thursday night at 7 p.m. 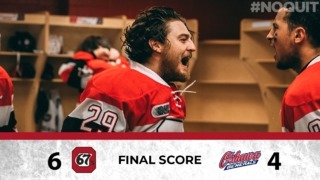 The 67’s have scored at least five goals in all three games this season and in all but one of seven games in the 2019 playoffs. Sasha Chmelevski (1G, 2A), Lucas Chiodo (1G, 2A) and Hudson Wilson (3A), all had three-point games for Ottawa. 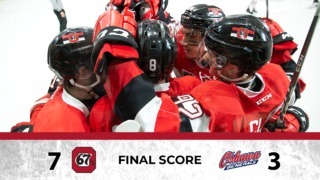 The 67’s won the game 8-5 for the second time in three games against Sudbury. They have had 41 shots on goal in both of those wins. Sasha Chmelevski and Kody Clark each had six shots on goal in the game to lead both teams. After going goal-less in Round 1, Tye Felhaber, with a goal and an assist on Tuesday, has five goals in three games in Round 2.